Gardaí in Cork earn the least amount of overtime pay in the entire country. 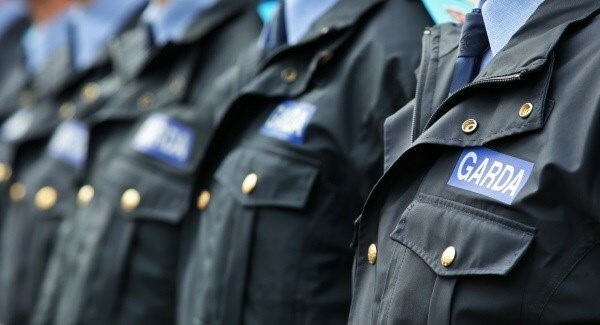 New figures published by An Garda Síochána show the three Garda divisions in Cork city and county spend proportionately the least of any of the 28 divisions in the country on overtime Cork West recorded the lowest overtime bill last year with spending of just under €370,000, leaving Gardaí stationed there with annual overtime earnings of just €1,316. The overtime bill for all Cork city and county in 2016 was just over €2 million with gardaí in the city earning €1,775 on average and those in Cork North on €1,831. In contrast, Gardaí in Dublin North Central ran up an overtime bill of €10.2m in 2016 averaging extra pay of almost €16,700 each. The high overtime budget is largely due to Dublin’s north inner city being the location for many of the fatal shootings associated with the bloody Kinahan-Hutch gangland feud. The latest figures show Garda overtime pay soared by 61% to over €90m last year with Gardaí earning an average of almost €7,000 each for working extra hours. Some Gardaí would have earned considerably higher amounts as overtime is restricted to members at garda, sergeant and inspector rank. In 2015, the highest earning rank-and-file garda topped up his basic pay with almost €63,000 in overtime. Gardaí maintain the sharp increase in overtime in 2016 is due to extra patrols introduced in response to a bloody gangland feud in Dublin and targeted operations against organised crime and burglary gangs, as well as increased port security and anti-terrorism measures. The biggest overtime bill last year was amassed by Gardaí attached to specialist units such as the National Drug and Organised Crime Bureau, which came in at €21.1m. The highest average overtime earnings outside Dublin was in Louth at just under €8,100. The overtime bill for civilian staff in the force also soared last year, almost doubling to top €1m for the first time. In its recent 2017 spending review the Department of Public Expenditure said the Garda overtime bill should be slashed to bring it to “sustainable levels”. Overtime costs now account for 9.3% of the Garda payroll budget but officials believe it should be brought down to 4%-5% in line with the international norms for police forces. “There is a risk that the existing high levels of overtime will become embedded in the system,” they warned. The current basic overtime rate is €24.10 per hour for Gardaí recruited before April 1995 and between €15.74 and €25.90 for newer recruits based on service. The Department of Public Expenditure and Reform claims greater civilianisation of the force will help reduce overtime costs as will greater use of technology, reduced attendance in courts, better co-ordinated rosters and reduced sick leave. In a recent circular the Garda Representative Association said overtime had always been “an important source of additional remuneration for frontline Gardaí” but claimed pay cuts had reduced the attractiveness of working extra hours. The GRA also claims the requirement to pay pension levies on overtime pay is “particularly unpalatable”. A Garda spokesperson said there would always be a need for a certain level of overtime to allow the force flexibility when responding to circumstances that require additional resources for specific operations.